GALE - Index tool for identifying sources of biographical material on people from all time periods, geographical locations and fields of endeavor. Biography and Genealogy Master Index indexes any print product that includes biographical information on multiple persons. It also acts as an index to other indexes. 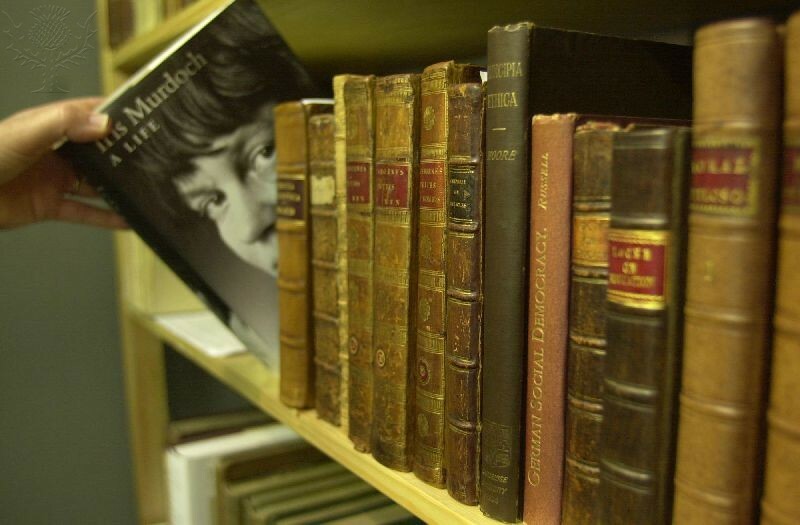 Search the biographies of the expansive Encyclopedia Britannica. A & E Television. News and biographical information relating to entertainment, politics, and other areas. Information about U.S. political history and cemeteries, listing more than 210,000 politicians, both living and dead. Oxford University Press. A dictionary of ancient biography, covering Greek and Roman history and politics, literature, philosophy, science, and art. Oxford University Press. Biographies of men and women from different countries and cultures who have contributed to the thought as well as the action of the twentieth century. Antiquarian Book Fair. Photography. Encyclopædia Britannica Image Quest. Web. 15 Jul 2011. From 1940 to the present Current Biography lists important living persons in all fields of human accomplishment. Obituaries are also included. Important Americans who died before 1996 are profiled in this 24 volume set. Those dying 1997-2000 are profiled in the supplement. Biography of important British Subjects who died before 1970. Original 22 volume set plus supplements.